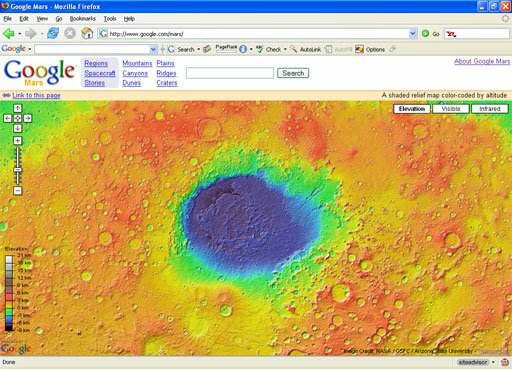 Google Earth, then Moon, and now Mars. The image shown below is a shaded relief map color-coded by altitude of Mars. The other two options to view are Visible and Infrared. I wonder what that blue spot could be. It is 9km deep. Looks nice though. Love the pattern.